Thank you for taking the time to visit my little corner of the web. Newest additions and updates are posted at the top of the pages. 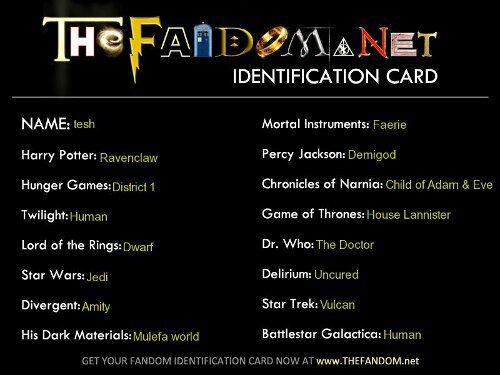 I have been writing fanfic for the Harry Potter universe since 2003, although I have been known to pop by Star Trek, True Blood, Dr Who and Firefly fandoms. I also do crossovers. Please leave a review or drop me a line at teshara@gmail.com! I am also on LJ as teshara.